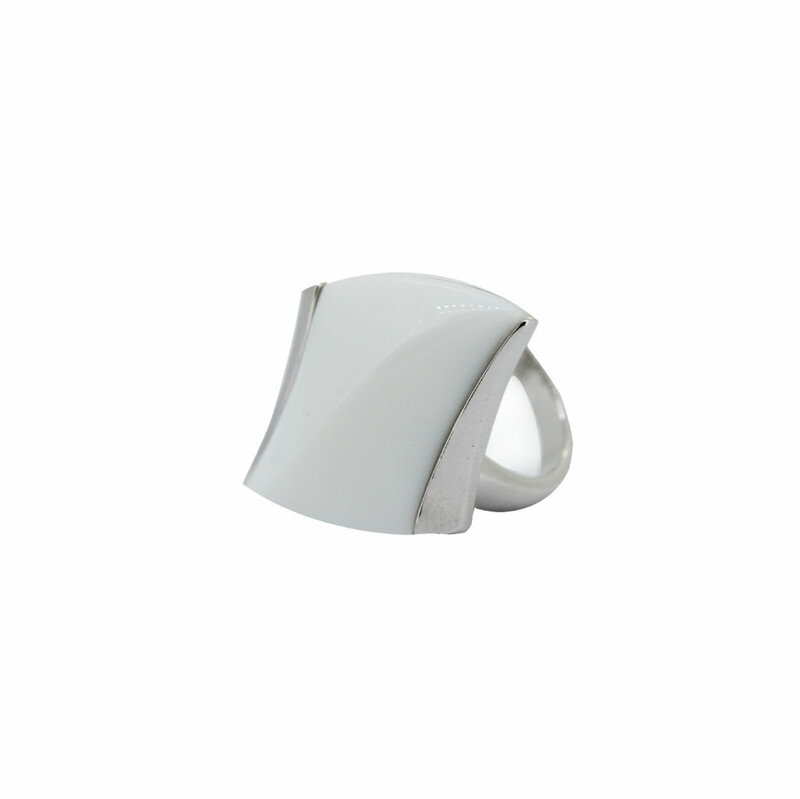 Ring in rhodium-plated sterling silver 925 thousandths. Made in white ceramic. Possibility of purchasing matching earrings or pendant. We deliver in case of the firm Stradda. Sizes 12,14,16,18.